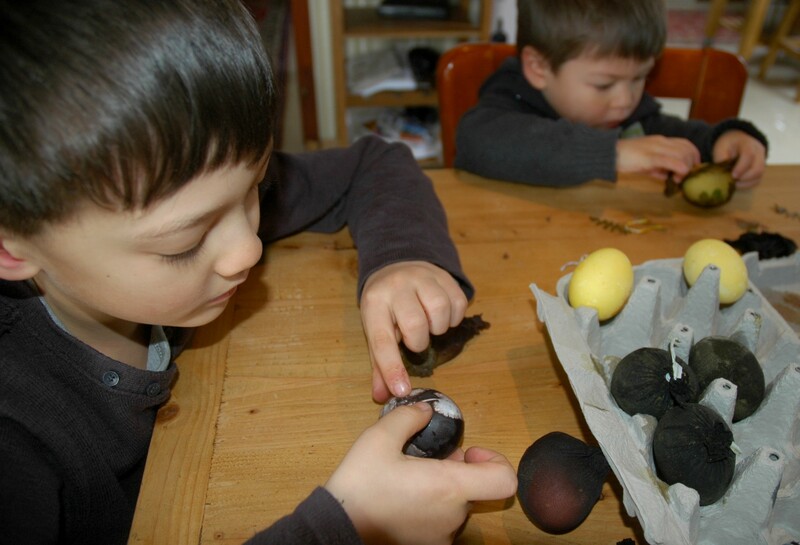 We colored our Easter eggs today, using home made dyes and leaves and blossoms gathered from the garden. (You can find the full instructions in this previous post.) Unfortunately, this was a bit more problematic this year, since there’s still several inches of snow on the ground from Budapest’s latest-season snowstorm in 50 years. We picked what we could find, though, and had a good time with the whole process. This year we used (clockwise from bottom left) spinach for green, grape tea for purple, turmeric for yellow, and red and yellow onion skins for a rich russet red. 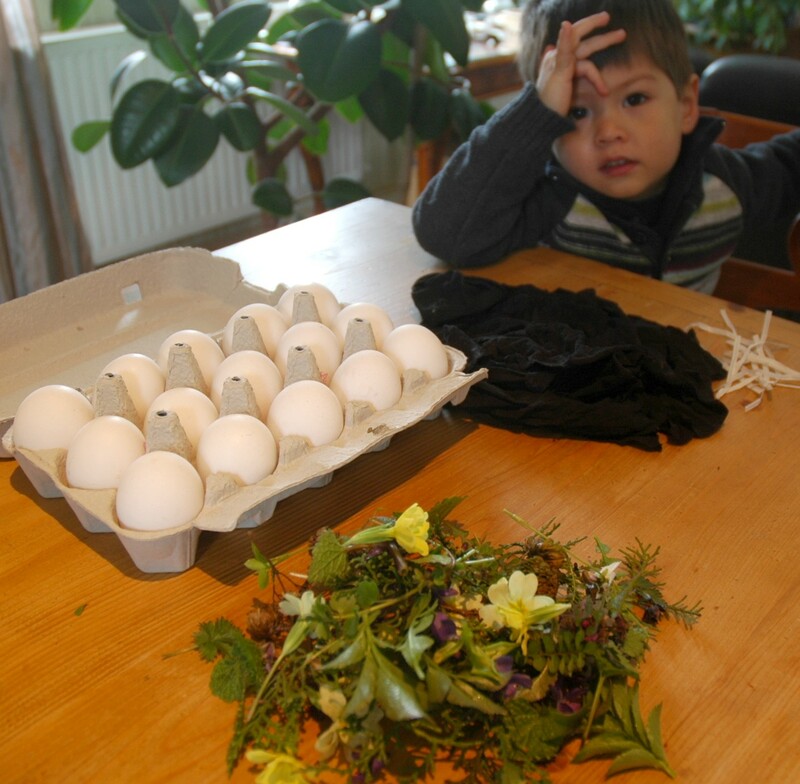 It wasn’t easy to find white eggs, but in the end we managed, and were able to scrounge some blooms and leaves around the house. On the table you’ll also see our strips of hose and twist ties. The eggs are all set to go in the pots of dye. You’ll notice that there are two types of hose here – the one that is more sheer worked much better. Something to remember for next time. 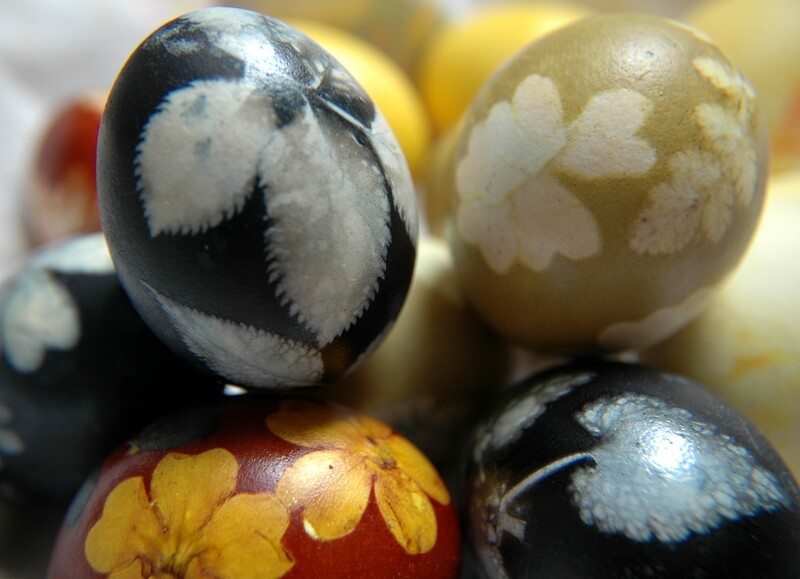 Each egg is like a little present, and you never know how each will come out. Some worked great, some much less so. We used a bit of oil this year to give the eggs more of a sheen. These were the better ones – the rejects are hidden in the back. I used a lot of the grape tea for the purple dye, and the eggs came out really dark. I think next time I would make them a bit lighter, but I do like this deep indigo as well. 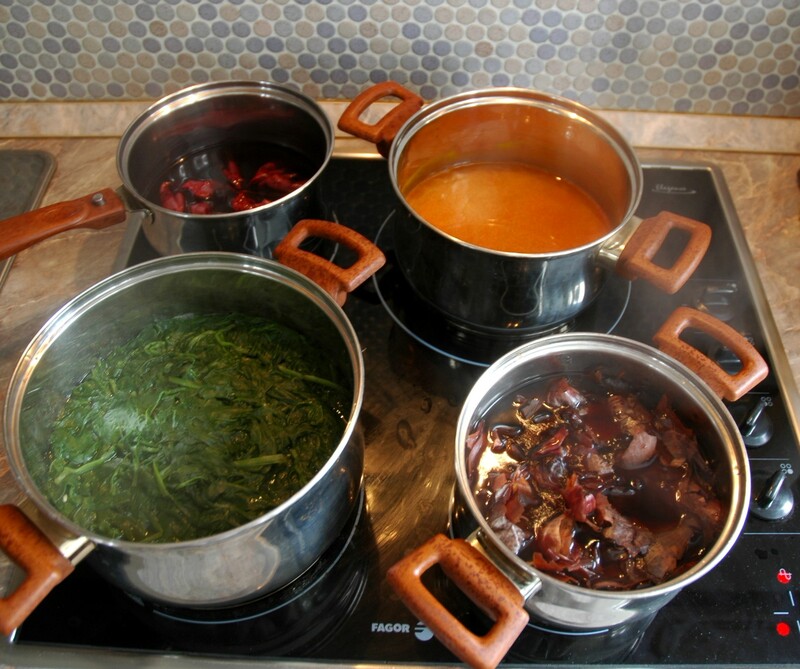 The sage green is a nice shade – I added green tea (macha) powder to the pot, because the spinach wasn’t giving them much color. If you want to use exclusively spinach you need to use a lot of it. We took the red eggs out first and let them sit for about 30 minutes before unwrapping them. They had dried completely, and you’ll see on the one in the foreground that the blossom petals are permanently adhered to the surface of the egg. We liked the effect, so instead of scrubbing (which may also have removed some of the dye) we just left them as they were. So overall we were very pleased with this year’s egg project. The kids loved it, and we learned a few more tricks and tidbits about the process. 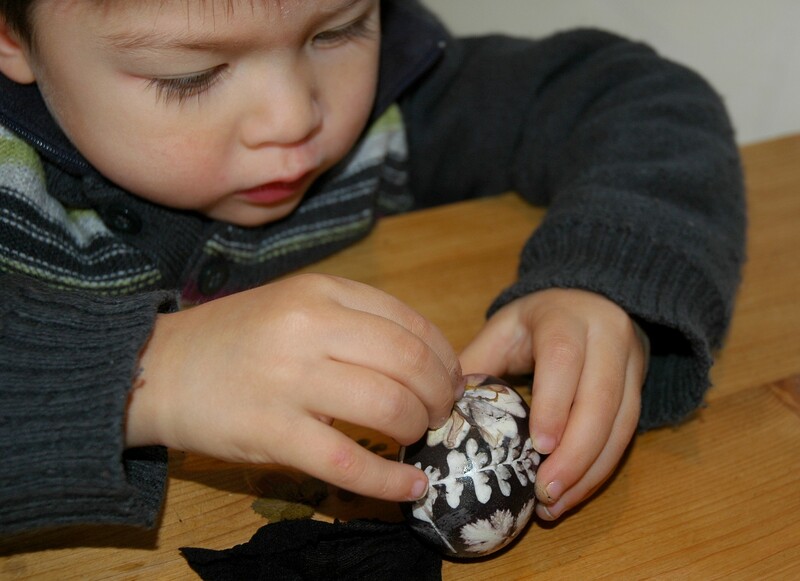 If you haven’t done yours yet, there’s still time to make Super-Groovy, All-Natural Easter Eggs! Wow, I’ve never tried dyeing fresh eggs but yours are truly the most beautiful I have ever (EVER!) seen! 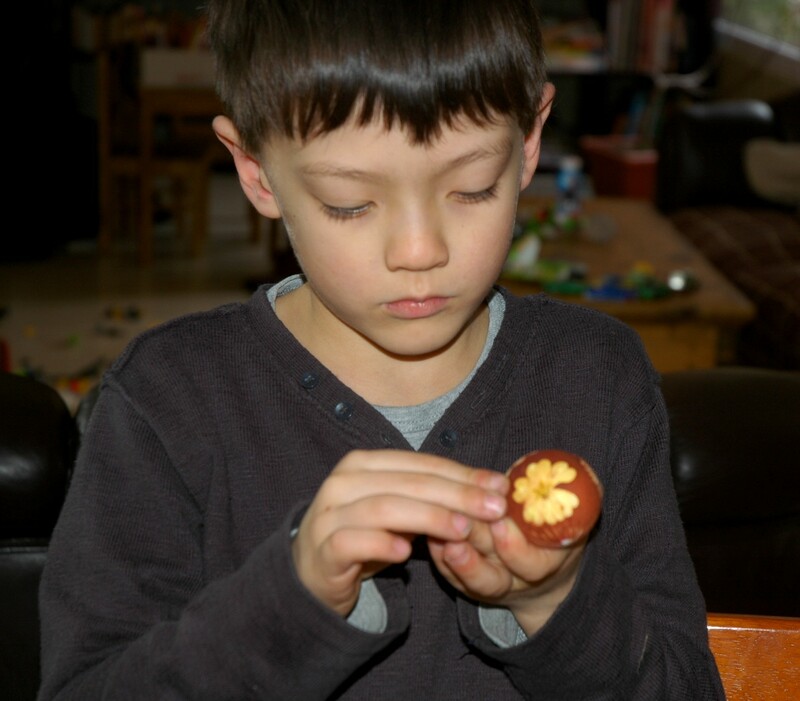 Love the fact that this is something that you can do as a family project… the photos of your kids intently peeling off petals are gorgeous. Haha! 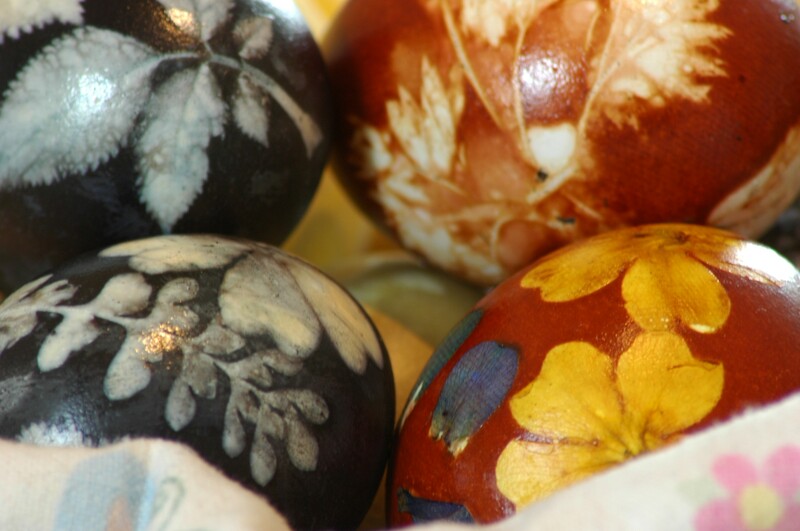 I know Easter is over now but I think I might just try your method anyway… so curious about the natural dyes. Thanks for sharing!! Stunning! The grape tea ones with white leaves remind me of those old cameos that people wore as jewellery and also hung on their walls. I hadn’t thought of that until you mentioned it, but these are absolutely like old cameos. The results are so magical in these eggs it amazes me that they are so simple, really. Thanks for having a look, Cuttlefish. Beautiful! Nice to hear we’re not the only ones scrounging to find white eggs. 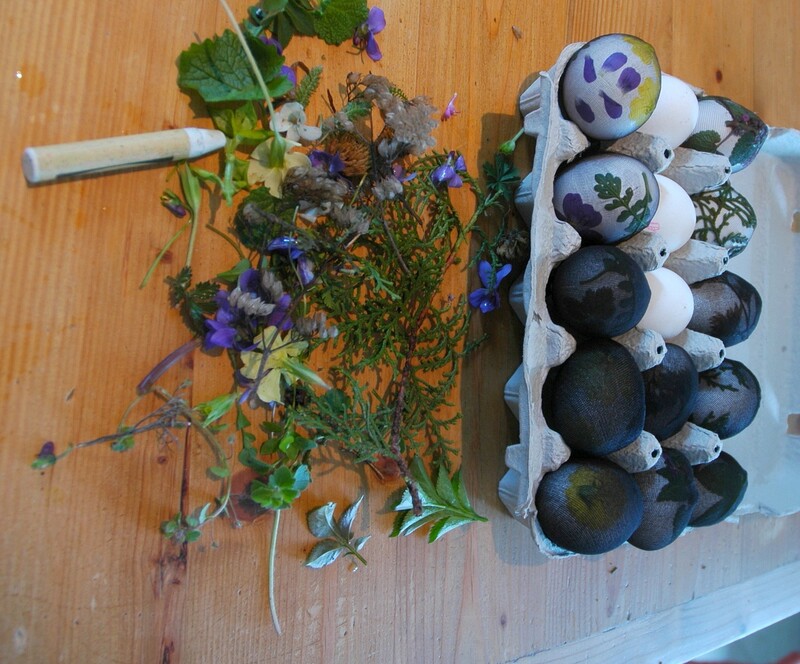 In the end we ended up dying our brown eggs (which came out in wonderful jewel tones with our natural dyes). Happy Easter! 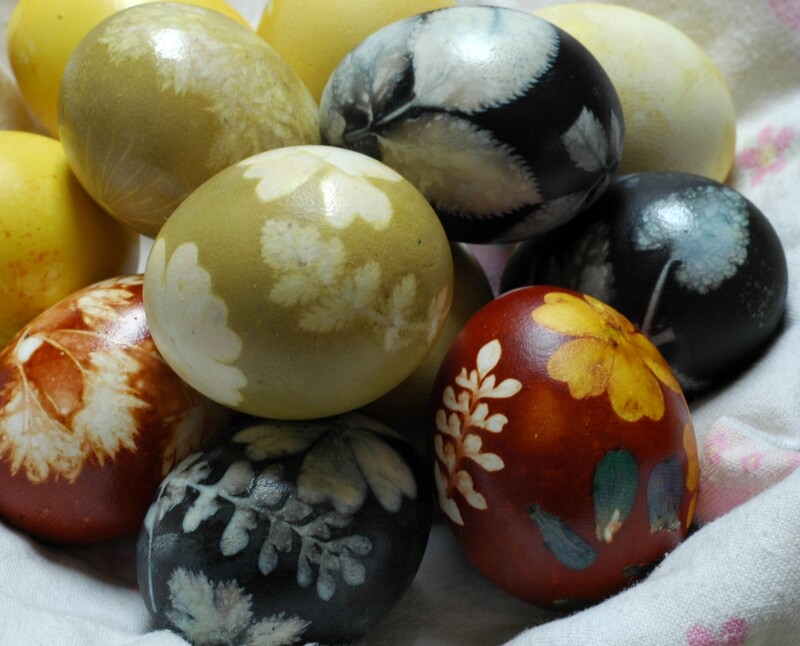 They are really gorgeous Easter eggs. Congratulations to you and your family to have come up with this beautiful project which I hope will be a start of a family tradition. Love this post, the best way to do most things is the way nature intended. Thank you mmtread.